It's not everyday that the world is introduced to a robot. Of course, we've seen them in movies and TV shows. But a real life robot that you can actually take home? That's pretty new. And Asus is happy to be ahead of the rest with their newest creation, Zenbo. Zenbo, the friendly, family robot, was unveiled on Monday during the Computex 2016 keynote. Yes, laptops and smartphones were also unveiled but Zenbo stole the show. 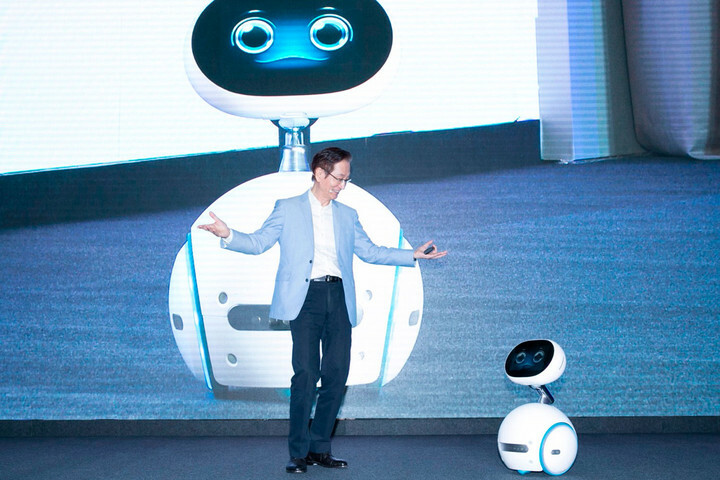 The 60-centimeters tech bot, came out at the end of the show and danced with chairman, Jonney Shih. Consisting of a spherical base and a head with blinking eyes, Zenbo provides assistance, entertainment and companionship, according to Digital Trends. Zenbo's face turns into a tablet touchscreen which allows you to use different features. This cool robot can play music, make and receive phone calls, take photos, link to smart phones and more. Zenbo does everything! And the most surprising fact about it is its only $600. Not too shabby. A date has not been announced for Zenbo's release but it's great to know that a little bot exists. Tech fans can't wait to get their hands on it!